Hey guys! I recently made a few new simmies, so here's one of them. Her name is Eva. 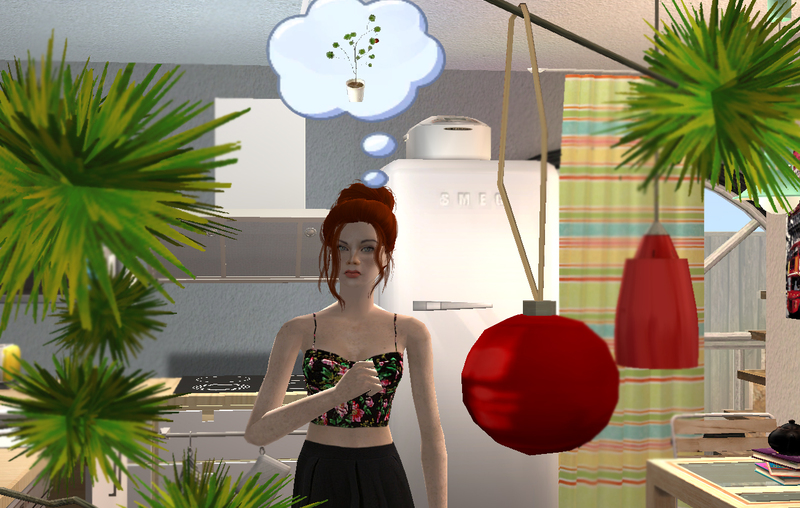 She's quite enthusiastic about art and plants. I decided i will let her work from her home so she can take care of a garden by herself. Besides, i have a feeling like she's looking sort of like Tris from The Witcher 3. Lilith for wonderful hair conversions from sims 4 and sims 3 to 2 and her textures.